Sue Hunter from Braunton Travel recently presented her ‘Top travel-saving tips’ to the Networking Group. 1. If you are looking for the best-priced deals consider travelling to the Mediterranean or the Canaries in early- to mid-May. This is when the main resorts open up in the Med and the Canaries have more competition at that time. 2. If you have children, book early to get your preferred choice of large apartments (especially 2-bedded ones) and Family rooms, free or reduced-priced child places. Holidays up to end of April 2018 are on sale now and you only need to pay a deposit (if booking more than 4 months in advance) between £150 and £250pp. Some tour operators are operating a low deposit deal of £50 or £60pp! 3. Think beyond the South West. There is more competition from tour operators and more destinations available from Birmingham or Gatwick. 4. If you just want to book flights, book early! On scheduled flights – and even Ryanair and Easyjet are “scheduled” services – the cheapest seats are sold first. Seats usually become available about 11 months before departure. The closer to your planned departure date that you book, the more expensive the fare as there will be less seats available on the flight. 5. If you book directly with an airline, pay with a credit card (if the booking is over £100) to get your financial protection through the credit card system. Airlines don’t give you ATOL-protection if you book directly with them – and this is the highest form of financial protection in the travel industry. Only if you book your flight through a travel agent or tour operator will you get ATOL-protection. 6. Consider flying indirect (ie. changing planes), rather than direct to save money. It is often much cheaper on long-haul flights. 7. If you can be flexible with your holiday dates, try flying mid-week rather than at the weekend. Some scheduled airlines charge a weekend supplement to fly on Fridays, Saturdays and Sundays. We often find that starting your holiday mid-week is also cheaper than at the weekend. 8. 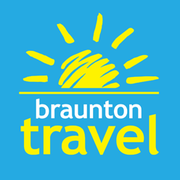 Finally, book with an Independent travel agent like Braunton Travel. If you book with Thomson (in Green Lanes), they will only want to sell you one of their own holidays; the same applies to Thomas Cook in the High Street. As an Independent, we can deal with a vast range of tour operators and if there are a number of them with contracts for the same hotel, we’ll find you the best deal. For instance, we recently persuaded a client to travel 3 days later with another tour operator to the same hotel and saved him £250 on his holiday. 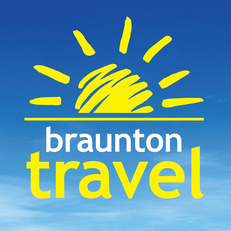 Braunton Travel sells travel services on behalf of Hays Travel Limited and benefits from Hays Travel's membership of ABTA with membership number P6699. ABTA and ABTA Members help holidaymakers to get the most from their travel and assist them when things do not go according to plan. We are obliged to maintain a high standard of service to you by ABTA's Code of Conduct.